‘Sport has the power to help develop the potential of individuals, communities and nations. It encourages personal growth, is a major force in eliminating gender barriers and can build bridges across lines that might otherwise divide. Sport nurtures society by creating a culture in which fundamental values such as equality, the acceptance of rules, mutual respect and fairness are appreciated.’ Ban Ki-Moon, 2015. 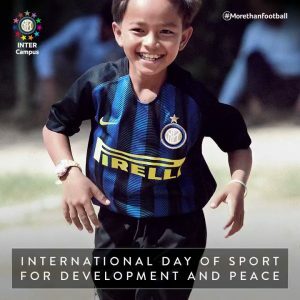 In 2013, under the leadership of the International Olympic Committee, the United Nations General Assembly proclaimed the 6th of April as the International Day of Sport for Development and Peace. Since 2014, this day has been celebrated annually worldwide to help the United Nations achieve its objectives and use the importance and contribution of sport in promoting peace and its power in social change and human development. The values of sport, whatever they may be, are recognised throughout the world and are understood no matter the language. The International Day of Sport for Development and Peace is therefore an opportunity to highlight projects that use the benefits of sport to connect people and nations to a wide range of development and reconciliation efforts. Olympians, international leaders and young people in the video below remind us how sport unites and inspires, how it can break barriers and make a real difference in communities and countries across the world. The values and objectives of the day form part of the EFDN’s DNA and this year has seen the EFDN launch 2 new programmes, both co-funded by the EU’s Erasmus+ programme and which have peace and social inclusion at their core, ‘Community Champions League‘ and ‘Welcome through Football‘. 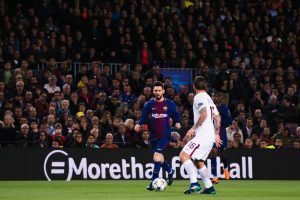 The Community Champions League being a street football competition running across 10 cities in 8 countries, where the teams earn more points through Fair-Play, Fair Support and Volunteering in community activities than by winning the matches themselves. While ‘Welcome through Football’ sees EFDN members Apollon Limassol, Everton FC, KAA Gent, SV Werder Bremen and Vitesse Arnhem working together on a project which aims to develop a new methodology for use across Europe which uses football as a tool to promote the social integration of refugees. From the 26th May to 1st of June there will be another EFDN organised youth exchange with young adults between the ages of 17-23 years old from Israel, Portugal and Germany being hosted by NAC Breda in Breda, Netherlands to promote and educate social inclusion and cultural awareness, which is a follow up from the youth exchange in Tel Aviv last September. 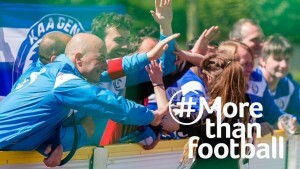 The 13th of June will see the EFDN organising the Football Works Festival together with the Dutch Justice Department, with a football tournament being played inside the walls of a Dutch prison alongside a programme of presentations and workshops from best practice projects from clubs and prisons that use football as a tool for supporting the reintegration of prisoners into society. EFDN are also partners in the No Violence in Sport Programme (NOVIS) along with organisations from Italy, Romania, Spain, Greece, Bulgaria and Poland with the project aiming to address challenges such as violence and intolerance linked to sport events and to promote the culture of sport, fair play and teamwork. 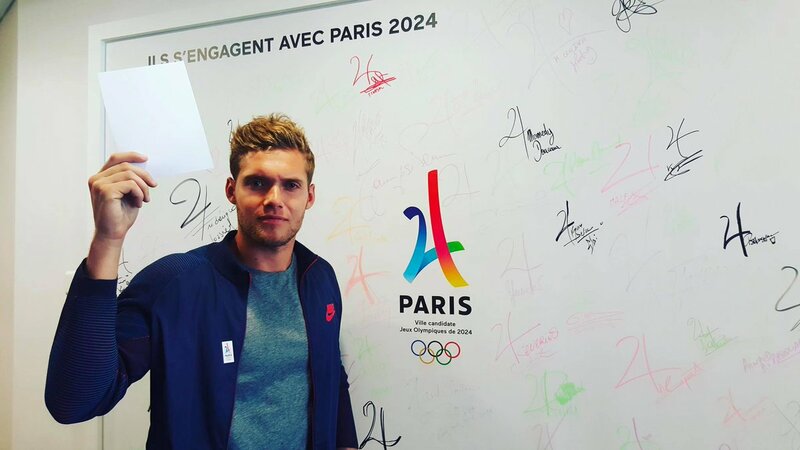 Elsewhere in the sports world, the Paris2024 Committee involved all its ambassadors to promote the International Day of Sport for Development & Peace. The #WhiteCard was a worldwide digital campaign which promoted the positive and constructive values of sport. Play your Peace, Raise your #WhiteCard ! The world of football rally for this cause and use the sport as a tool for peace and social cohesion. 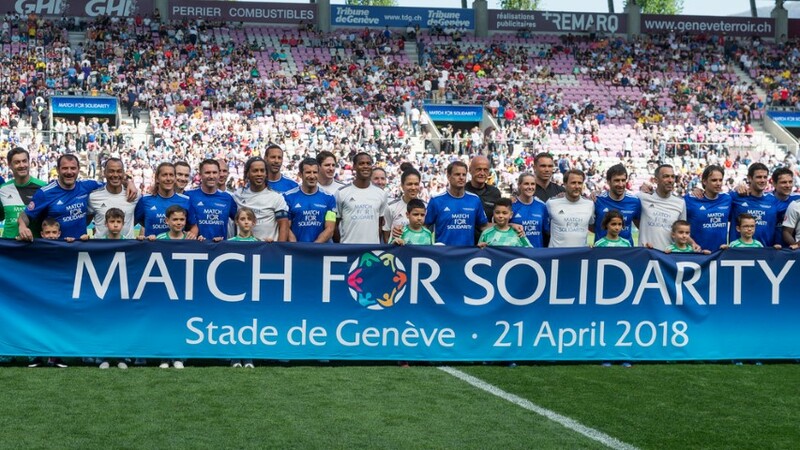 Last year UEFA and the United Nations joined forces to stage the first ever Match for Solidarity charity football match in Geneva. The driving message behind the whole spectacle was to promote peace, human rights and well-being across the world, through the Sustainable Development Goals as set out by the United Nations. During the 2014 World Cup, FIFA and Nobel Peace Centre launched the ‘Handshake for Peace’ initiative where all captains were invited to meet and handshake the opposing captain together with the referee, at the spot where they performed the coin toss. 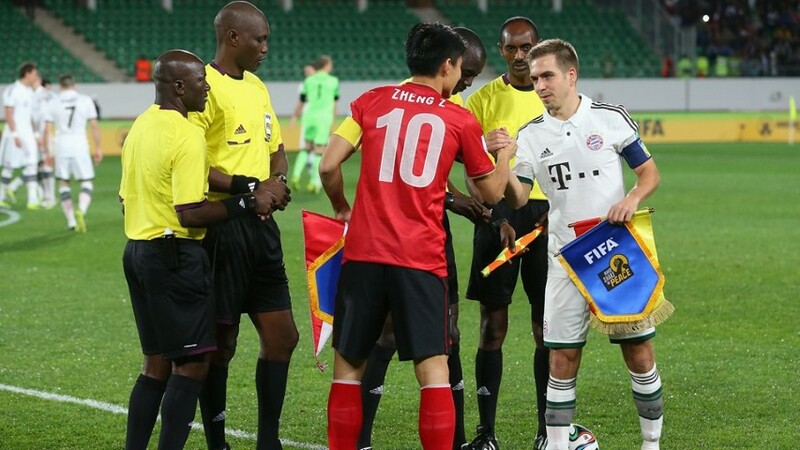 The campaign aimed to link the universality and power of football with a simple gesture, with the handshake providing a strong sense of goodwill, respect and peace across society as a whole. For nearly two decades, the Open Fun Football Schools have been gathering children and adults from different cultural backgrounds during the summer. The programme led by Cross Cultures Project Association (CCPA) aims to use the power of football to build bridges between regions with a history of conflicts and to gather people across different ethnic, social or religious backgrounds. 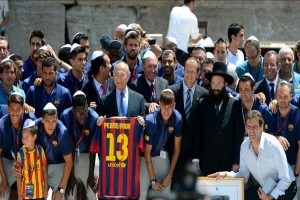 FC Barcelona for instance held a Peace Tour, which sought to strengthen the ties between Palestinians and Israelis. The Barça expedition visited the Wailing Wall, and players led a clinic at Bloomfield in Tel Aviv. Nearly 15,000 people followed the session, which included boys and girls from Palestine and Israel. These examples are just a tiny part of all the efforts that are made everyday to make the world a better place.